If you are facing foreclosure, it is important to know what you should and should not do to avoid making the situation worse. Answer the phone and read your mail. Avoiding your lender won’t make the problem go away. In fact, it will only make the problem worse. Your lender may be able to help you so be sure to answer the phone and read any mail from your mortgage company. This is especially important because lenders are sending solicitation letters to borrowers who are eligible for a Home Affordable Modification. So, that letter from your lender may contain good news! Contact a non-profit housing counselor. They can provide information on a borrower’s options when facing foreclosure and counselors can also act as facilitators for communication between lenders and borrowers. All assistance is confidential and provided to you free of charge. Realistically assess your situation. If your financial problems are temporary, your lender may be able to offer a forbearance or repayment plan until you get back on your feet. Consider your options. If you are not in a position to keep your home, consider selling it before you face foreclosure. If you cannot sell it yourself, your lender may be able to offer you purchase options like a short payoff or assumption to help you avoid foreclosure. Protect your wealth. Recognize that you may have significant equity in your property, and it is in your best interest to preserve it. Move out of your home. In order to qualify for assistance, you are often required to be living in your home. Be sure to talk to your lender before you think about moving. Ignore the problem. If you are facing foreclosure you have a limited amount of time to take advantage of certain rights and actions that may help you keep your home. Convince yourself you can afford a home you can’t. If your mortgage is truly beyond your means, consider selling your home and purchasing a less expensive one or renting for a period of time before the only option left is foreclosure. In this situation your lender may be able to help you avoid foreclosure by agreeing to an assumption or short layoff. Fall victim to a “rescue” scam. Be wary of people who want to profit from your misfortune by offering to contact and conduct all workouts and negotiations with your lender on your behalf for a fee. Make sure any assistance you receive is carried out by a reputable organization or trusted adviser. If you have any questions, please contact one of our team members for free and confidential assistance to help you stay in your home. 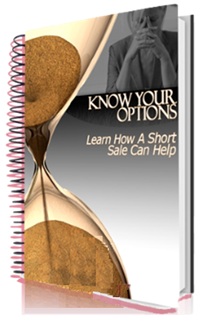 Qualify for a Short Sale?